Keep your customers happy during outages. Improve communication and transparency. Discover the power of Constant Status. 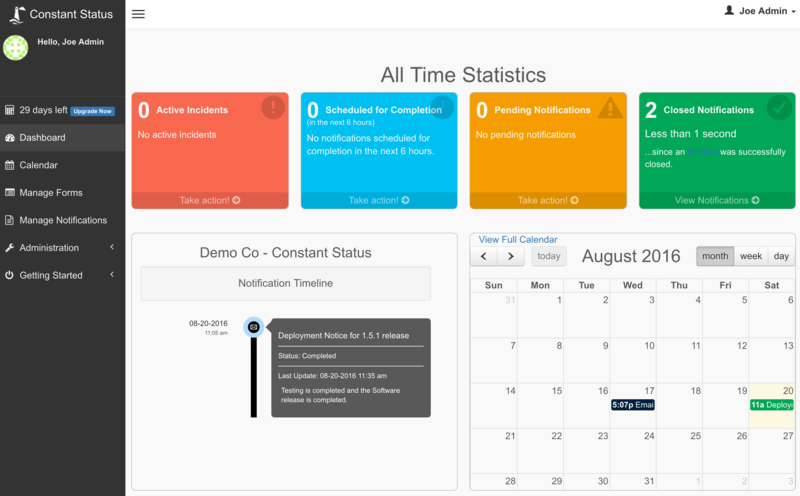 Constant Status is software for keeping your customers informed at all times during outages. 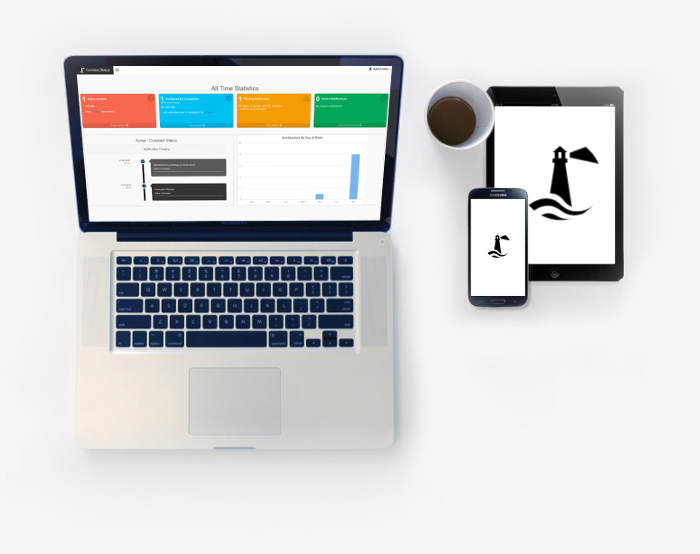 Our platform lets your team manage and communicate outage notifications in a single framework with ease and reduces the impact of costly outages. Tired of constantly hearing customers or employees say they weren't aware of a planned outage? Send professional and standardized notices across multiple communication channels (email, phone, SMS, Slack/Spark, etc.). Tired of constantly having to remind your team to send status updates? We thought so. You've come to the right place. Configure a reminder profile and the Constant Status bots will do the rest for you and be your virtual CIO. @constant_status Finally a tool that our team finds indispensable! Makes our lives so much easier. Thanks again! Measure your team. Improve your team. We expose valuable metrics for tracking and enhancing the performance of your team. Having the ability to gauge my teams performance and share that with executive management has proven invaluable. Easy to use. Access everywhere. Schedule a notice and we will automatically send a followup status update, or we can send reminders to your team and have them send a status update. We also make it easy for your users to manage status notifications by providing access across multiple devices. @constant_status Easy to use. Great response from employees who feel 'more in the loop'. Just an awesome, awesome product. Native support on iOS and Android coming soon. Constant Status can be used not only for outages and deployments, but for many departments including HR, Security, Finance, Executive Management, Company Newsletters, and many other applications. With the Enterprise edition all of these can be managed under the same account with separate users per department. Custom categories can be used to group notifications types. Manage your software release notes, deployment notices, and application outages in one platform and keep your customers informed. Keep a history of all deployments and outages and automatically compute your uptime and SLAs. Custom templates can be used to personalize your message. 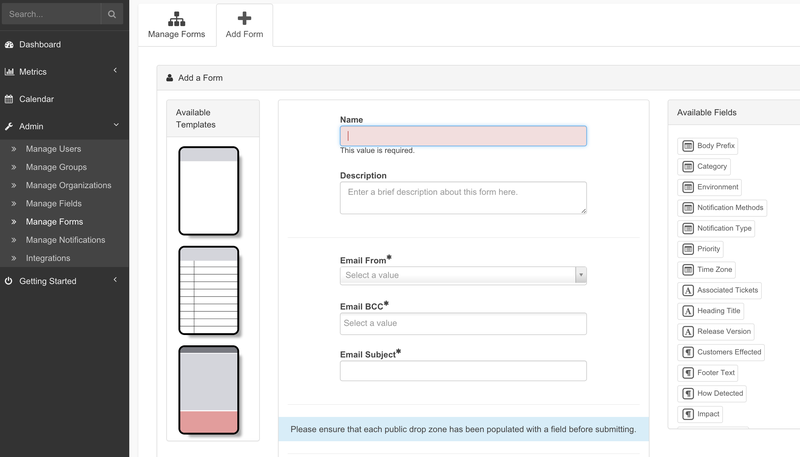 Easily select what fields are required, and pre-populate values to be used on forms. Setup a schedule for reminders to be sent out so the next status is always sent out to meet customer expectations. Create customer mailing lists or use Twitter. Ready to make your life a little easier?